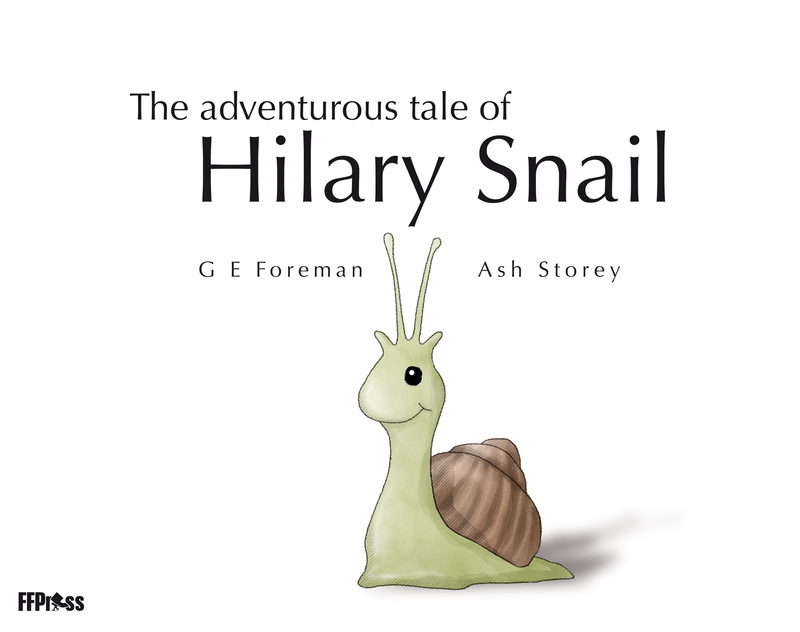 FFPress is excited to announce the forthcoming release of its second title: The Adventurous Tale of Hilary Snail. Written by Glen Foreman (author of The Legend from Bruce Rock: The Wally Foreman Story) and illustrated by Ash Storey, the creative mind behind the cover design of The Legend from Bruce Rock, The Adventurous Tale of Hilary Snail follows the globe-trotting travels of a bold and courageous mollusc, who refuses to let limitation hold her back from pursuing her dreams. The Adventurous Tale of Hilary Snail is an illustrated children’s story told in verse and most appropriate for the 2-6-years age group. FFPress has now opened pre-orders for its latest title, with stock intended to begin shipping by the end of November. We’re awaiting the final review of the hardcopy draft before enabling global distribution of the title (expected within a week), at which point The Adventurous Tale of Hilary Snail will also be available for order through retailers. The Adventurous Tale of Hilary Snail is the second title released by boutique Western Australian publisher, FFPress, following the 2017 best-selling biography The Legend from Bruce Rock: The Wally Foreman Story. Grown-ups … pfft, what would they know?! Well, a fair bit. But ever had one tell you that you couldn’t do something because you’re too small? Hilary Snail did. So, she set out to see the world – and prove those grumbling Grey Shells wrong along the way.